The real story was that Jake Cuenca was looking for a television set to give as a gift to his mom in one store. It was among the very first weeks My View TV is available for purchase to the public. 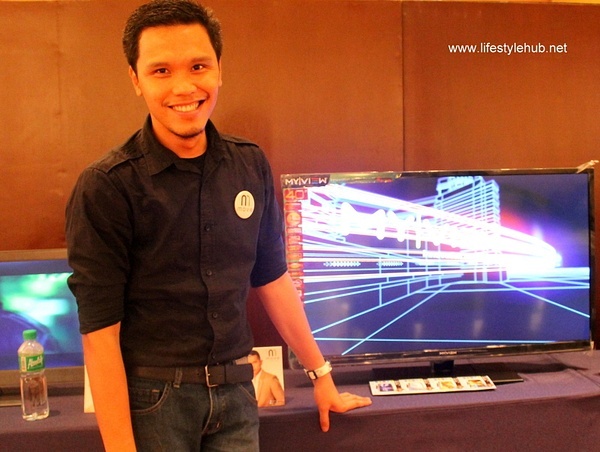 He bought the 32-inch LED My View TV and as soon as the store personnel almost completed wrapping his new appliance, a representative from My View TV approached him. He was offered an endorsement deal. Fast forward to last Friday, June 28, 2013 at Fairmont Hotel in Makati City. 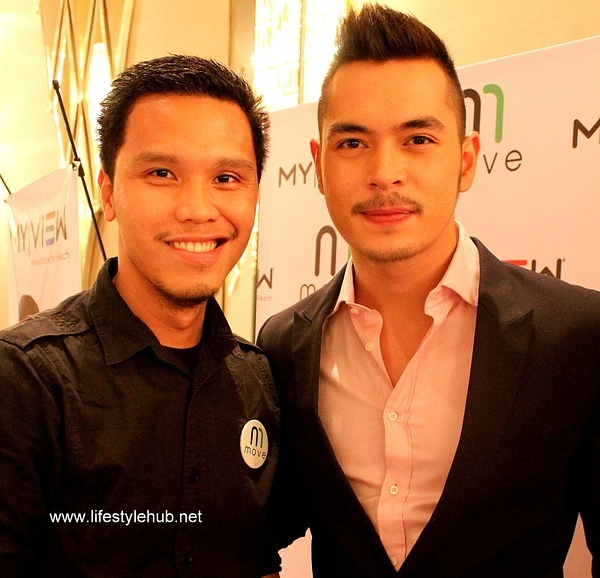 Jake Cuenca sits beside My View Company owner Rajiv Chandirimani on a platform at the hotel's grand ballroom. He is set to sign an endorsement deal with one of the upcoming biggest brands in LED and Smart TV. "It's nice to endorse a product you've personally chosen yourself. Something that you yourself believe in", Cuenca shares. As for his mom, the lucky recipient of perhaps, one of the very first My View TV units to be purchased in the country, her viewing experience had been the best so far. "She likes it so much. Wala naman siya problema and she uses it almost every day", Jake shared further. The hunky actor also mentioned his basic requirements in purchasing a gadget and other electronic devices. "I don't usually go for things that are really expensive and just because it is 'uso' ay bibili na rin ako. I need something that I can really use", he narrated. The actor later on encourage everyone in the ballroom, media and bloggers included, to try My View TV as it is a quality and value-for-your-money brand. Rajiv Chandirimani, an Indian by nationality, born in Singapore but residing in the Philippines and can fluently speak Tagalog was so proud in introducing his product's new endorser to the media. "I know he has a huge following he has a certain market. He is one of the very well-known celebrities we have out there and I know he can help us in promoting My View", Rajiv divulged. When asked why he chose Jake among other celebrities, Rajiv commented that he chose the young actor due to his active lifestyle. My View TV comes in six kinds of television products which will cater to different kinds of customers. We have the 24-inch LED TV (P6,995), 32-inch LED TV (P11,995), the 40-inch LED TV (P15,995), the 42-inch LED TV (P19,995) and the 46 LED TV (P24,995). Their LED TVs come in 1080P high definition displays flashed in 16:9 widescreen with 16.7 million maximum colors. For the fans of Smart TV, My View's 40-inch Smart LED TV might be perfect for you as it boasts with wifi-ready capability and SD functions for only P19,995. "This endorsement is something very close to my heart because there is techie side of me. Pero again, ayoko ng mahal. 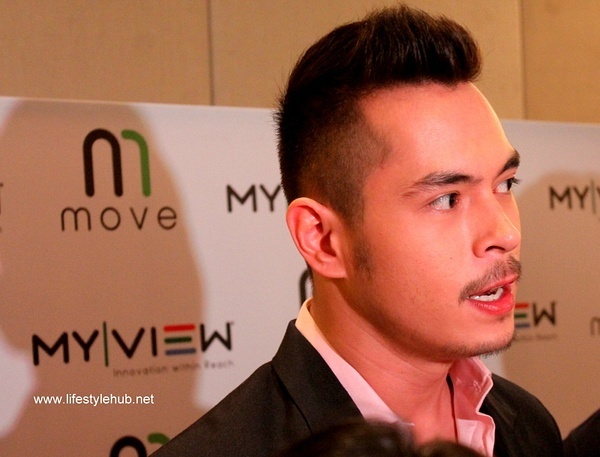 Gusto ko sulit and that is something My View can give me", Jake Cuenca said while closing his official launch as the brand's ambassador. Can I qualify as a My View TV endorser too?